Congratulations to Bridget Allen and Isabella's Rose on a successful Culpeper run. Grand Circuit Champions in both Adult Equitation and the Thoroughbred divisions. Also congratulations to Nancy Milburn, owner of Isn't She Something, Reserve Circuit Baby Green Champion, and Reserve Champion at Culpeper finals, Catherine Brown and March Lion, Reserve Champion Novice Adult Hunter, and Suzanne Voss on All In One, ribbon winner in Schooling hunters. 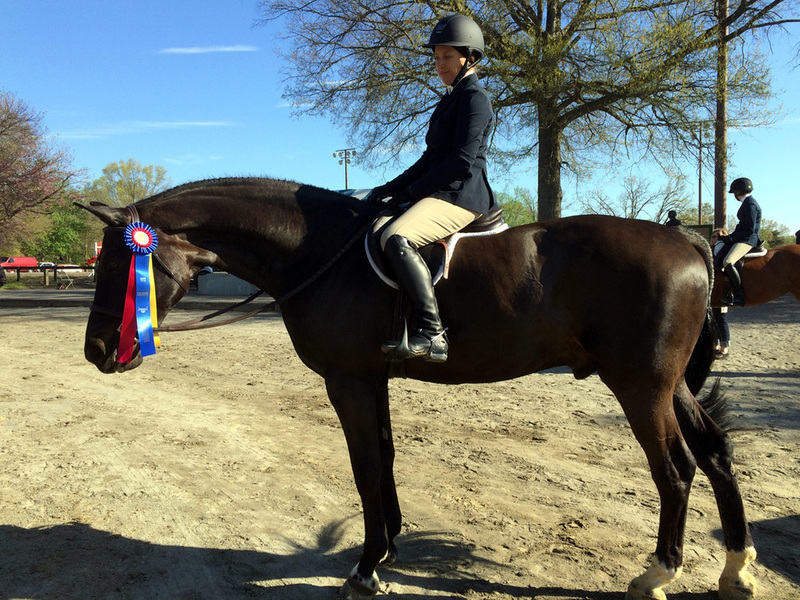 A happy and successful conclusion to the Middleburg Classic Horse Show. Suzanne Voss and All in One (Bella) earned a Reserve Champion in the competitive Local Hunter Amateur division and top ribbons in the Middleburg Hunter division. Bella and Sue also rode to a Reserve Champion in Local Hunter Professional division. Congratulations to all the tri-color winners at August HITS in Culpeper. Week 1: Suzanne Voss's All In One Champion Schooling Hunter, Jan Bitzberger and Fabriano AO Champion, Bridget A. Allen Equitation Champion and her Isabella's Rose Reserve Champion in AA Hunters. Week 2: Bridget Allen and Isabella’s Rose Reserve Champion in the TB division, and Champion in the Adult Eq division. Congratulations to Jan Bitzberger on a great start to the 2016 HITS Culpeper show series in the AO division.